Chances are, you're already familiar with the iomoi beauties. They've been gracing blogs for quite some time now. I keep the site saved in my favorites section and pop over from time to time just to stare ... and desire ... and lust. Want to check out some of my favorites? First of all, I'd start out with an order of calling cards. And for our new home, some beautiful address labels. With lots of friends' birthdays approaching, I wouldn't be remiss in topping off a prettily-wrapped present with an adorable gift tag. 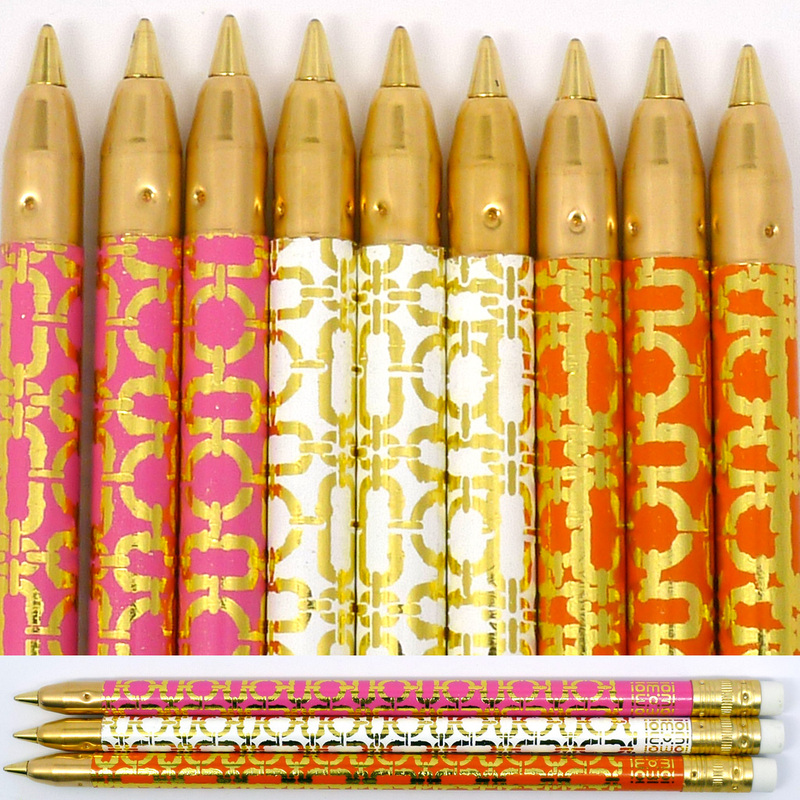 I'd display these stylish pens in a crystal glass on my desk (they're priced well enough to "develop legs" too). 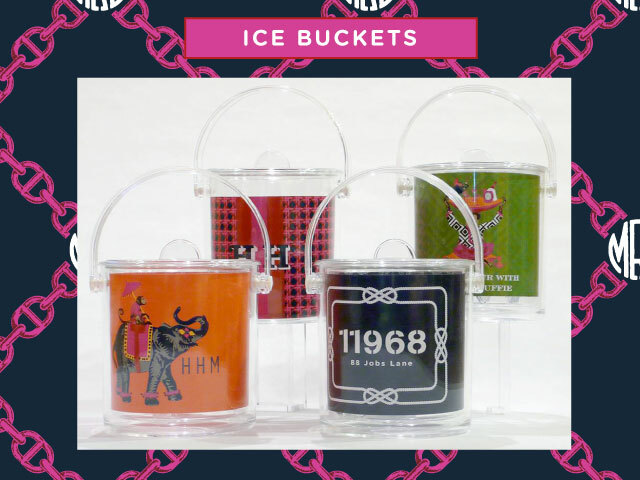 An ice bucket would make an adorable wedding gift personalized with the couple's last name or monogram. And for my Recessionistas and Supper Club nights, these coasters would be divine. 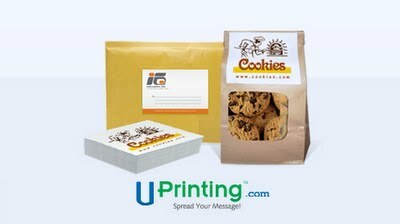 Speaking of cute customized labels, today is the last day to enter my UPrinting.com giveaway! If you haven't already entered, click here to do so. Just think - if you win the 250 customized labels, you can even make your own gift labels! The drawing will close tonight at midnight and the winner will be announced tomorrow. Have you ever ordered from iomoi? What did you get? If not, what's on your wishlist? Where have I been?? This is the first time I have heard of iomoi and it is fabulous! I love the bright colors that they use and the unique designs. I definitely want one of their canvas totes! I've never heard of iomoi before, but I love it!! Seriously awesome! How's your Thursday? im obsessed with all of their stuff- I day dream about all those different patterns and colors and pick out at least 100 things I want everytime I go on the site. Oh my goodness I love all these darlin' things! Ahh, I saw this website for the first time on a blog a few months ago and fell in love!! I REALLY want one of the tote bags!